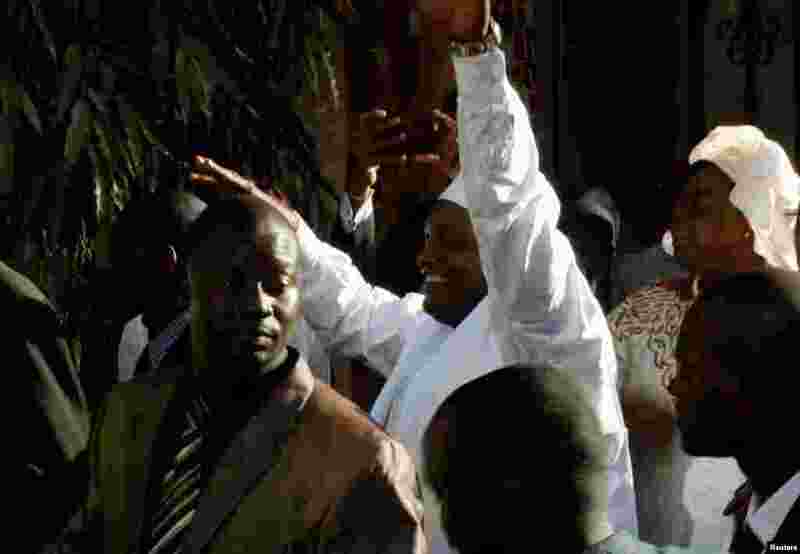 5 Gambia's President-elect Adama Barrow waves after his inauguration at Gambia's embassy in Dakar, Senegal January 19, 2017..
6 A firefighter reacts at the site of a collapsed high-rise building in Tehran, Iran. 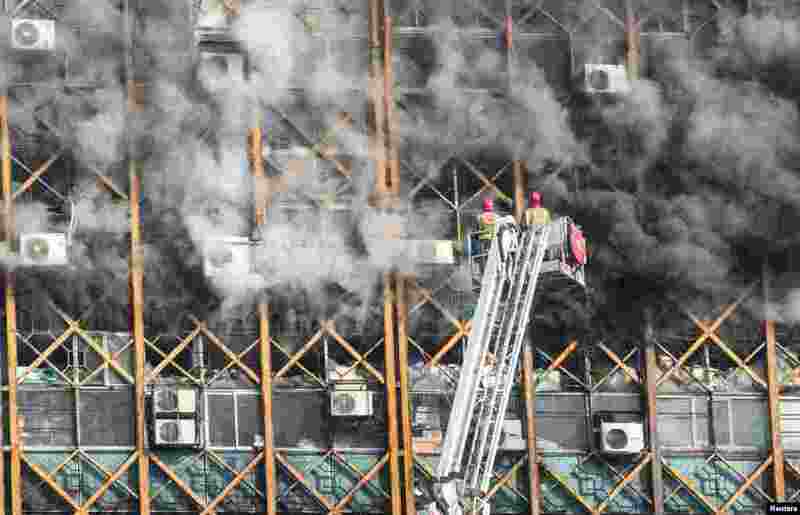 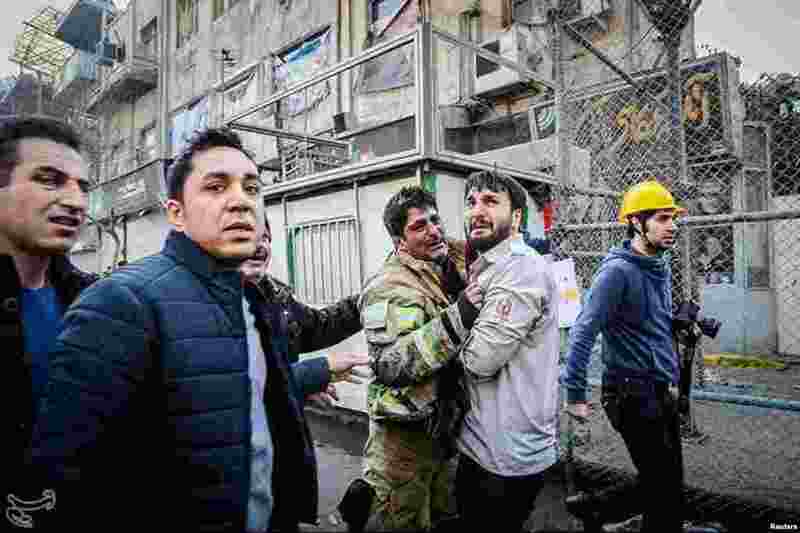 7 Firefighters try to put out fire in a blazing high-rise building in Tehran, Iran. 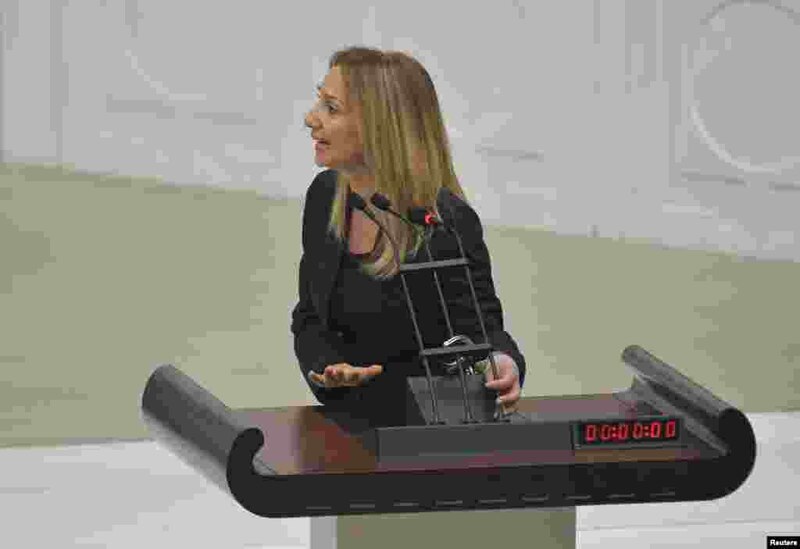 8 Independent lawmaker Aylin Nazliaka handcuffs herself to the rostrum during a debate to protest against the proposed constitutional changes at the Turkish Parliament in Ankara.